WANT A FAST AND EASY WAY TO KEEP AN EYE ON EMPLOYEE ENGAGEMENT? 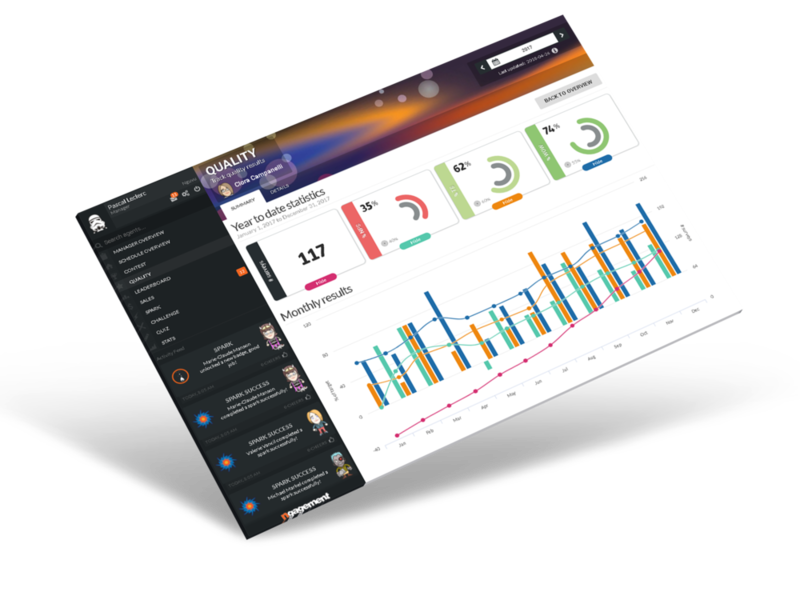 NGAGEMENT’S UNIQUE DASHBOARD HELPS CONTACT CENTER MANAGERS AUTOMATE TEAM AND AGENT MONITORING TO BOOST KPIS. nGAGEMENT gives managers a quick and easy way to visualize the health of their teams by comparing the quality of work across sites, agents, and department levels. nGAGEMENT makes it easy to find out who’s quality of work is improving, and which agents are potentially at risk of underperforming. Directly activate agent view from the call center manager dashboard to gain insights about an individual agent’s performance so you can start engaging with them better. Drill down from our dashboard to get detailed insights into agent performance across multiple categories. USE OUR KPIS, OR CREATE CUSTOM ONES THAT FIT YOUR CALL CENTER NEEDS SO THAT YOU CAN START MONITORING QUALITY OF WORK AND BETTER ENGAGE YOUR AGENTS.